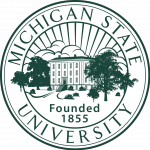 I am an Associate Professor in the Department of Geography at Michigan State University (MSU), and a broadly trained human geographer with a primary research focus on human-environment interactions primarily in Africa. 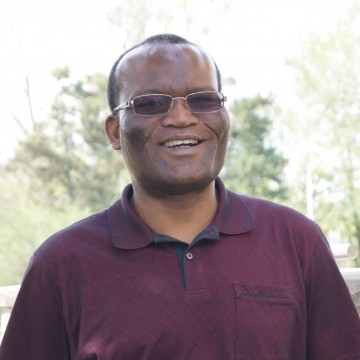 I use holistic, interdisciplinary approaches and mixed research methods to understanding the diverse factors that shape environmental problems and in finding options for their resolution. My research has included natural resources management focusing on decentralized and community-based natural resources management (forests, fisheries, water, wildlife, and soils/agriculture) and the construction of collective action, deforestation, environment and development; agro-ecosystems, conservation and food security; climate-change adaptation focused on (climate-smart) agriculture and forests (including REDD+), and climate change governance broadly; and drivers and impacts of land use and land cover change, all grounded in an international development and sustainable livelihoods context. Recent work on agro-ecosystems includes the scaling up of semi-permanent legumes in in mixed maize systems and a review of climate-change research in agriculture in Malawi, and the link between irrigated agriculture and health (malaria). Upcoming funded work includes development of indictors for integrating gender in climate-smart agriculture in Malawi and Ghana. I also have secondary research interests in extractive resources management (minerals, petroleum, high-value forest products) in Africa and their link to the environment and local livelihoods. I also have a secondary strand of research in health geography focusing on spatio-temporal patterns of infectious diseases ((mainly HIV/AIDs in Africa), analysis of disparities in access to health services using modern geospatial tools, and disease-environment linkages, including malaria. Many years of professional experience in forestry and biodiversity coordination for the Southern African Development Community, and in social forestry in Malawi, and their integration into agrarian landscapes and agro-ecosysems, ground my work around seeking interventions that can enhance livelihoods particularly of the rural poor.